Catered in Winter and self-catered in Summer. 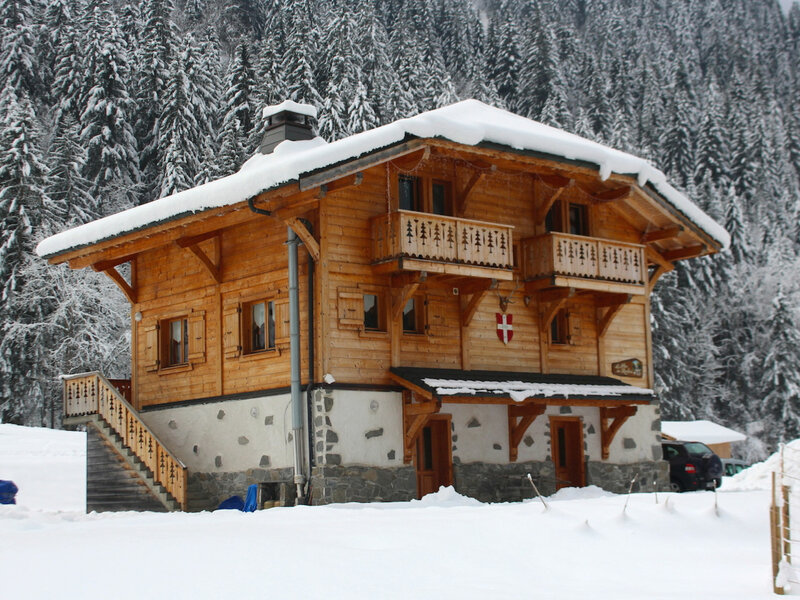 Chalet 'Le Plan des Rochers', just one hundred metres from 'Au Coin du Feu' also boasts a 'ski to the door' location. 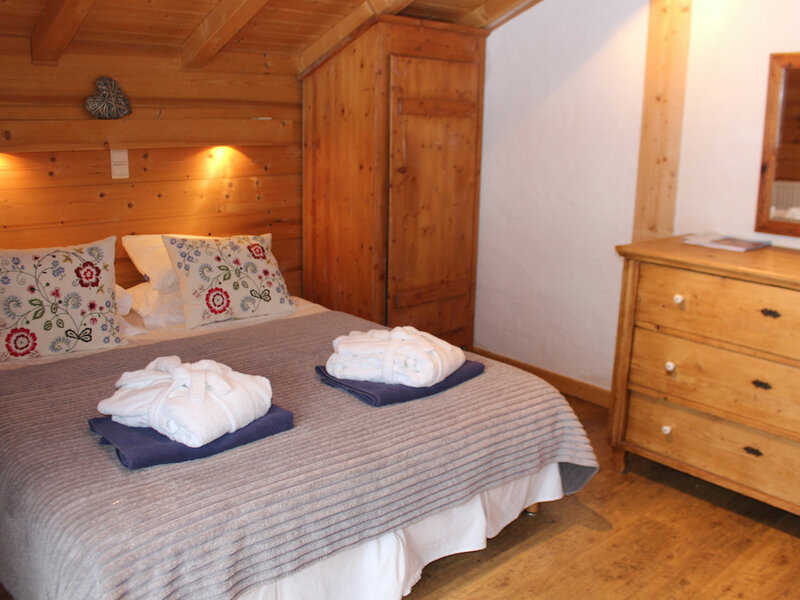 There are 6 en-suite bedrooms plus an additional child's bedroom, which has a loo and washbasin. A typical day would start with a wake-up call if desired followed by a delicious mix of both continental and cooked breakfasts, which vary daily. 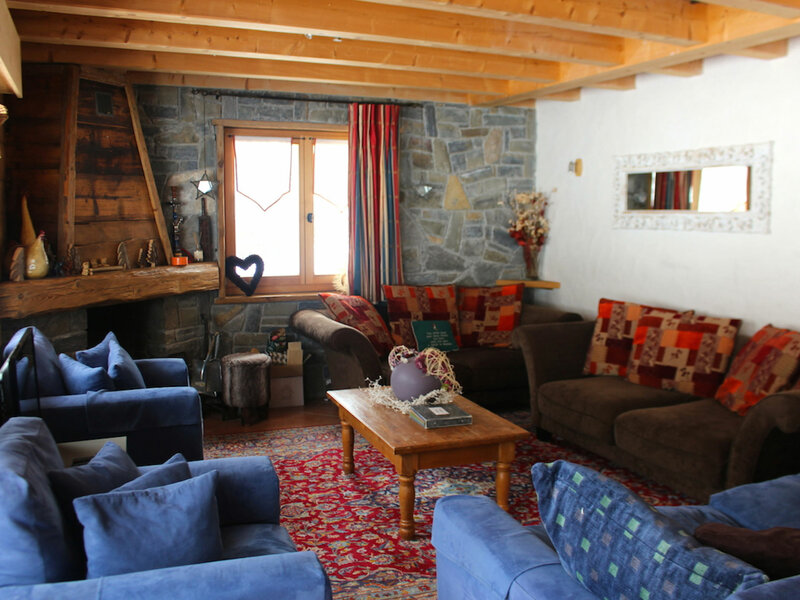 On your return from the slopes you can pop in at the 'Au Coin du Feu' and have a sauna and massage and then drinks in the bar or the outdoor Jacuzzi. 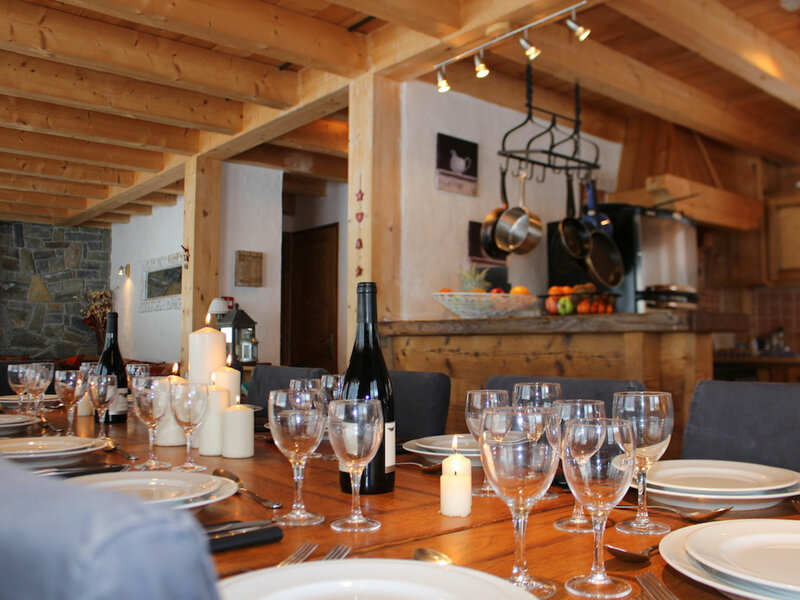 In the evening your chalet hosts will cook a delicious 4-course meal and we include an aperitif, canapés, great wines, coffee and chocolates. We offer a choice of meat or vegetarian meals each night and cater for special diets. On our one night off we will be happy to recommend some of the excellent restaurants in Morzine. 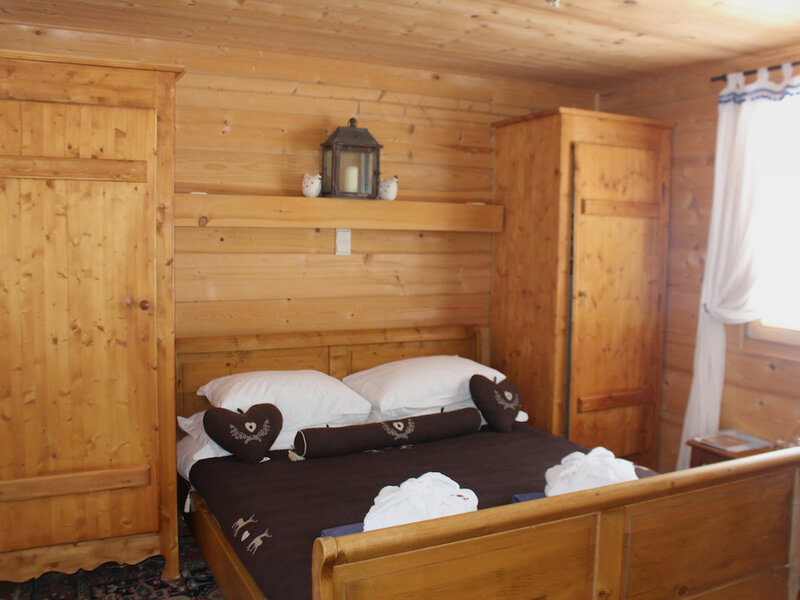 The chalet is situated at the foot of the ski slopes linking Morzine and Avoriaz in the area of 'Les Prodains'. Skiing starts at the cable car just in front of the chalet, and finishes with blue, red or black pistes, straight into the garden. * Sauna, outdoor hot tub 7 visiting masseuse. * Discounted family rooms & supervised creche. * We arrange ski passes, ski hire, and ski lessons all of which are payable in the resort. * Airport transfers are arranged and are also payable in the resort. 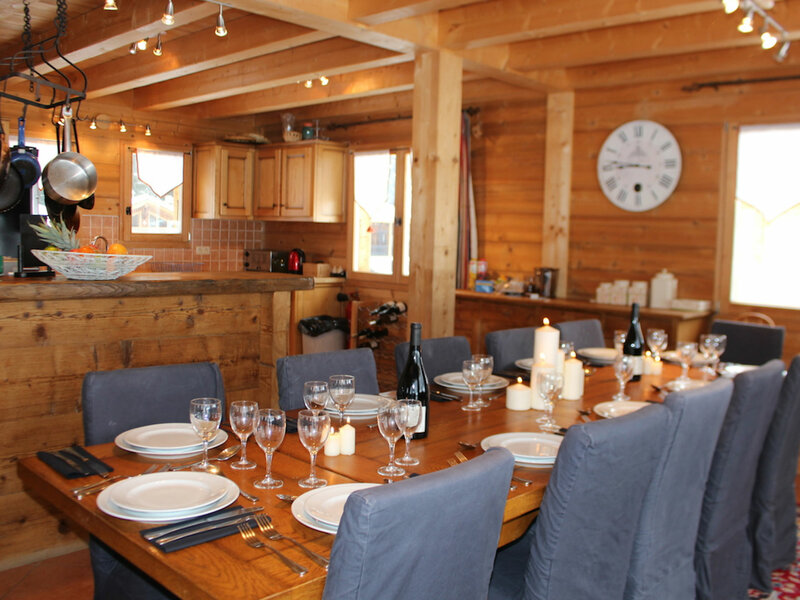 Chilly Powder offer year round Alpine holidays with great facilities for families, groups, corporate training and events. Spring, summer and autumn sports include: mountain biking, golf, white water rafting, canyoning, hydrospeeding, paragliding, trekking, horse riding, rock climbing and much more.